Selecting the right Houston windshield repair company can ensure the durability and safety of this vital component of your car or truck. Your windshield plays a major role in the structural integrity of your vehicle and can serve as a secondary barrier in the event of a collision. 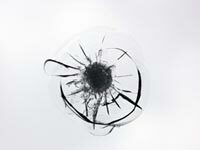 Repairing your windshield properly can ensure greater safety for you and your passengers. Understanding the facts about windshield repair can help you achieve the most durable and dependable results in the Houston area. In conjunction with the National Windshield Repair Association, the National Glass Association has established standards for the repair of laminated glass. The most recent version of these standards was approved in June 2007 by the American National Standards Institute, better known as ANSI. Companies accepted for membership in the Auto Glass Safety Council (AGSC) are required to maintain strict quality controls, to adhere to ANSI standards and to deliver outstanding customer satisfaction. Choosing a windshield repair company that adheres to these standards can ensure the quality of the finished result and can ensure greater safety for you and your passengers on the road. By choosing companies that comply with applicable ANSI standards and that have an established reputation for excellence, you can ensure that you receive the most effective windshield repair in the Houston area. Avoid mobile services that do not maintain a brick-and-mortar presence or that advertise free windshield repairs from roadside tents or kiosks; these pop-up shops typically lack the expertise and the knowledge necessary to provide top-quality repairs for your vehicle and may not be available to perform warranty work if it is needed in the future. Performing some research on local auto glass repair in Houston can help you ensure the most durable results for the appearance and safety of your car or truck. The tempered glass used to fabricate windshields is designed to break into small, rough chunks rather than into shards or large sheets. When the glass breaks, the laminate layer sticks to these chunks of glass and prevents them from flying and causing injury in an accident. The three-layered structure of windshield glass also makes it safer and easier to repair than other types of single-layer auto glass. First, the area in and around the crack or chip must be thoroughly cleaned to remove any debris, oil residue or other substances that could interfere with the application of the resin. Then, specially designed resins are inserted into the damaged area using a vacuum seal technique that removes air and forces polymer resin into the crack or chip. Sunlight or ultraviolet lights are used to complete the curing of the resin. Any excess resin can be removed and the glass can be polished to restore its structural strength and its see-through appearance. Depending on the process used, windshield repairs may take just over an hour to complete. By working with an established auto glass repair firm, you can often streamline the insurance claims process and enjoy clear visibility through your vehicle’s windshield. Some companies even offer mobile windshield repair services for added convenience. If you need auto glass repair in Houston or the surrounding communities, doing a little homework can go a long way toward ensuring the quality and longevity of your windshield repair project. This entry was posted in Windshield Repair and tagged Glass Repair Houston, Houston Windshield Repair, Windshield Repair Houston. Bookmark the permalink.